Jisr al-Zarqa, Israel – Cookie-cutter homes dotted with swimming pools, well-tended gardens and spacious playgrounds for children. The city of Caesarea, where Israeli Prime Minister Benjamin Netanyahu owns a house, has long been associated with luxury villas and the super-rich. But for the Palestinian citizens of Israel living just across the other side of the city’s land barrier, the reality is markedly different. Jisr al-Zarqa, the last remaining Palestinian town on Israel’s coast, is among the poorest and most densely populated in the country. Here, buildings are packed on every available plot of land, with barely any trees left. Home to 15,000 Palestinians, Jisr al-Zarqa has for years faced a serious housing crisis, its land swallowed to make room for government infrastructure projects such as a highway that connects Tel Aviv to Haifa. In the past 20 years, Israeli authorities also declared some of Jisr al-Zarqa’s land as protected nature reserves, making the remaining land unusable. Days before Israelis take to the polls on April 9, residents here appear indifferent, angry at long-standing government neglect. 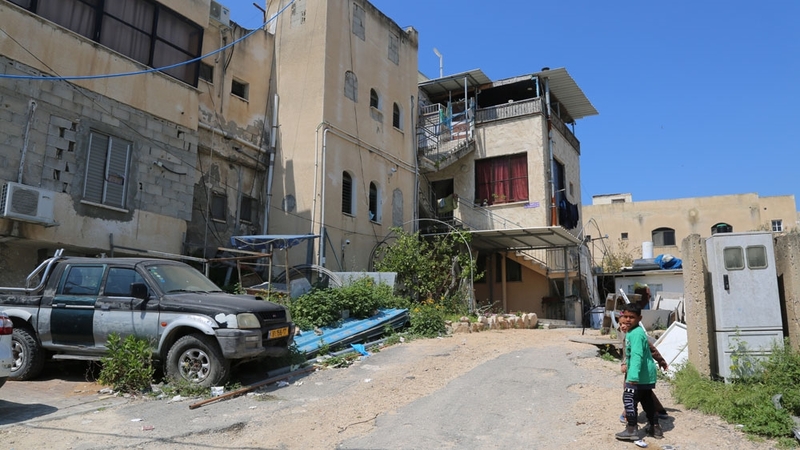 Left abandoned to fend for themselves and faced with high unemployment, they say the state discriminates against their town as its population is Palestinian. “[The housing crisis exists] not because there is no space. It’s because the Jewish kibbutzim (communal settlements in Hebrew) took the lands around and they refused to give back the lands to the village, to allow this village to expand,” said Jafar Farah, the director of the Haifa-based Mossawa Centre – The Advocacy Centre for Arab Citizens in Israel. Locked in on all sides with Caesarea to the south, Ma’agan Michael kibbutz (a collective community) to the north and the Jewish town Beit Hanania to the east, Jisr al-Zarqa’s growing population is squeezed within 1,500 dunams (150 hectares) of land. Meanwhile, in Beit Hanania, 900 people live on 3,000 dunams (300 hectares) of land, according to Murad Amash, the head of Jisr al-Zarqa’s local council. 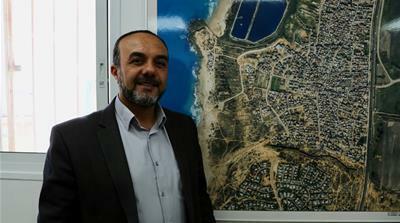 Inside his office, an aerial map shows the Ma’agan Michael kibbutz’s huge aquaculture fish ponds, covering an area of 2,400 dunams (240 hectares). A world-class fish breeding centre, the kibbutz also boasts field crops, orchards and greenhouses producing a variety of fruits, some of which are exported to Europe. Ma’agan Michael is also home to Plasson, a plastics factory and the kibbutz’s main source of income. But Amash said that when Jisr al-Zarqa’s local council asked the state to set up industrial fish ponds as a source of income for the town, its request was rejected. “We believe it’s our right to have some kind of support from the state of Israel. We are citizens of the state. There has been a lot of talks and negotiations on it, but the state didn’t accept this request,” Amash said. Every year, an additional 200 housing units are needed in Jisr al-Zarqa, but it is difficult to find the space. As a result, multiple families end up sharing homes, which in turn strains social relations and in many cases leads to couples divorcing, according to Amash. Lacking basic services due to the limited access to state funding, residents resort to burning their own rubbish as the town does not have the resources to provide regular collection. 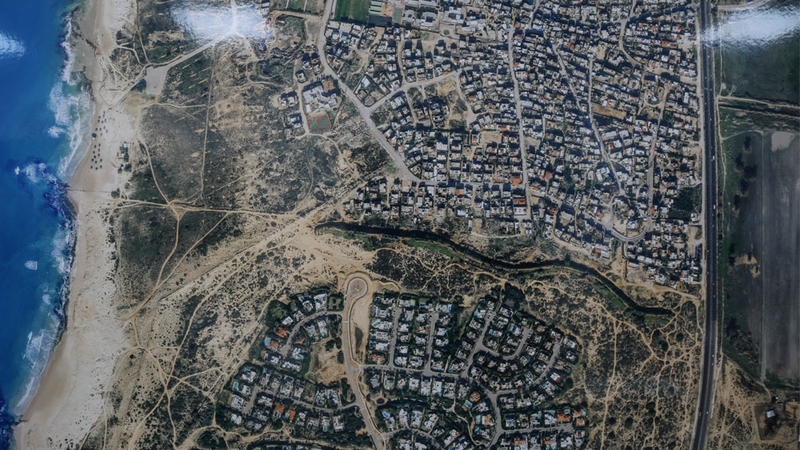 According to Amash, the town has offered the government various plans and options to expand their land for the past 14 years, such as using the remaining land next to the barrier that separates Caesarea – but their requests were to no avail. He added that an industrial zone would also help alleviate the high unemployment rate, reportedly at 30 percent. In contrast, Israel’s nationwide unemployment rate stands at just four percent. “It’s not just that we’re neglected and abandoned. The state is doing it on purpose,” Amash said. In the lead-up to Tuesday’s election, some MKs, or the members of Knesset (the Israeli parliament), and party leaders have visited Jisr al-Zarqa for campaign purposes. Amash said he was still undecided as to which party he would vote for due to their failure to address the town’s severe problems. He noted that while Arab MKs are willing to listen and have in the past attempted to raise the issue with government ministers, there has been no progress as no Arab party has ever been part of the government in Israel. In November 2017, Netanyahu visited Jisr al-Zarqa to attend the opening ceremony of a new police station to address rising incidents of violence, including gang warfare. Amash said he told the prime minister that while the police station may help curb street violence, it could not solve the dilapidated town’s economic and social problems. “If you help Jisr al-Zarqa, you’ll have real respect in all Arab communities, not just Jisr al-Zarqa,” Amash recounted telling him. In his speech at the time, Netanyahu admitted that the government had long ignored Jisr al-Zarqa and promised to visit more to work together with local authorities in order to improve living conditions, Amash said. That was the last time they saw him, he added. Farah, of Mossawa, said that while Palestinian citizens of Israel can have an effect on Tuesday in changing a Netanyahu coalition, there will likely be a low voter turnout. “[Palestinian citizens of Israel] do not feel that voting will change the 70 years experience of being marginalised, second-class citizens of the state, who are subjected to institutionalised racism and discrimination, including through the Jewish nation-state law and other laws and policies,” Farah said. In July, the Knesset adopted a law which defined Israel as the exclusive homeland of the Jewish people, further marginalising the 1.8 million Palestinian citizens in the country. Amid the grim reality, Palestinians living in Israel have been relying on efforts to form a strong civil society in order to improve the conditions of their community. One of the grassroots organisations is Mossawa, whose advocacy work has successfully forced the government to fund the first early childhood centre in Jisr al-Zarqa (at least six are needed); a programme training 50 nurses; and a project to build 400 housing units. “Finally, after 70 years of discrimination, the city council is able to get approval for building a new neighbourhood,” Farah said, adding that the government two years ago set up public transportation in the town. Mossawa has also helped train women to boost their income by producing handmade products for sale, while its volunteers regularly team up with locals to clean up the town and decorate murals, among other activities. Farah said it’s important to empower the people by taking back “ownership of their streets”. “The general feeling is that you don’t feel like you belong any more. People don’t feel that their villages and cities belong to them. 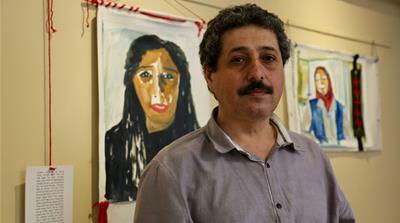 People are afraid,” Farah said.